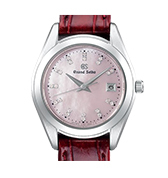 Put simply, Grand Seiko is a subsidiary of Seiko that's explicitly known for its powerful movements. From setting world records in the forms of watches with just 10-seconds and 5-second margin errors per year—to their unique and vintage-styled watchmaking approach, Grand Seiko has always been a favorite. The brand’s journey began in 1881, when the founder, Kintaro Hattori formed the K. Hattori & Co. in Tokyo. After 9 years of repairing and selling imported clocks and watches, Hattori founded the Seikosha factory—where “Seiko” means success and exquisite. The brand didn't make its first Grand Seiko watch until 1960. 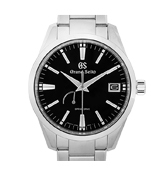 Accordingly, the Grand Seiko Ref. 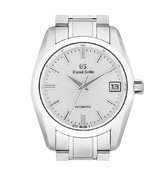 3180 became an instant hit and one of its highlights is the pronounced Grand Seiko name at the 12-hour mark. 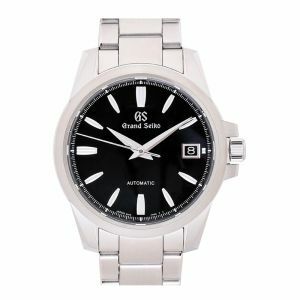 Compared to modern Grand Seiko watches that come with a simple “GS” or “Seiko”, it does sound far more polished. In the year 1964, Tokyo hosted the world's 18th Olympics—which was the right time to introduce the world to the Japanese brand. So, Grand Seiko delivered, with the help of mono-pusher chronographs that used the Cal 5717 and 5719 movements; and a countdown chronograph that used the Cal 5718A movement. It was at this point that the watchmaker gained prestige on the world stage and hasn't necessarily let go to now. 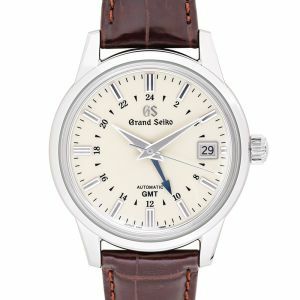 Grand Seiko is majorly known for 3 types of movements; automatic, quartz and spring drive calibers. The Grand Seiko Automatic refers to the self-winding movements that led to Grand Seiko’s critical success. Movements were powerful and could hold 82-hour power reserves. Still, the highly accurate Hi-beat movement (9S85) is the clear winner when it comes mechanical timepieces made by Grand Seiko. Another variation is the Grand Seiko Hi-beat movement with GMT complication. Timepieces that used the movement were literally tailored to the frequent travelers due to the GMT hand, which helps tell the time in multiple zones. Every watch that falls under the Grand Seiko Automatic uses the iconic and exceptional 9F movement. The movement has a margin error of 10 seconds a year, which is monumental when compared to the 15 seconds-a-month usually from conventional quartz movements. 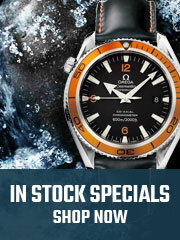 Inside this collection, diving, dress, and general-purpose timepieces have made a solid impact. The Grand Seiko Spring Drive is the brand’s culmination of technical ingenuity. It represents a unique combination of mechanical and electronic watchmaking prowess. Instance is the popular caliber 9R which combines the high accuracy of a quartz watch together with the work-process of a mechanical watch. Results can be found in the high-end Grand Seiko models (an exceptional example is the Snowflake). Each Grand Seiko timepiece is hand-assembled by master watchmakers to produce results such as their popular sunburst finish or the equally famous Snowflake dial. Following after, the watches are passed through harsh tests that are tuned to measure their respective accuracies (chronometry). All Grand Seiko watches are known for their clean, crisp dials, that leave no space for clutter. But what most do not know is that the Grand Seiko Style, known by all collectors was brought to life by designer Taro Tanaka. The watches all use the Zaratsu technique, which is a Japanese approach go polishing swords by hand. The same process applies to GS watches; wherein, the result of a single session gives the watch chassis a mirror finish with nil distortions. 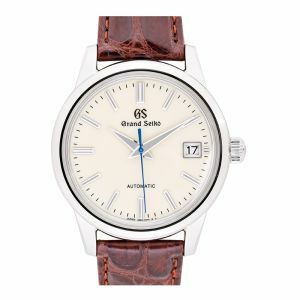 There are different watches from Grand Seiko for sale, but as usual, a master watchmaker of GS’s caliber has highlights that rival the best in the industry. The Grand Seiko SBGC223 is a spring drive model that holds the powerful 9R movement within a 46.44 mm case. Still, while the 9R can boast a battery reserve of 72 hours, this model’s main attraction is the satisfying mix of ceramics and titanium. Like all of the Grand Seiko watches, this one is also evidence of the brand's fine craftsmanship. 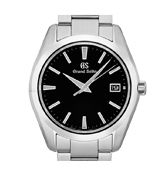 The Grand Seiko SBGX259 is a watch with a 9F movement (High Accuracy Quartz)—obviously designed to keep accurate time at all times. The watch features the same simple dial and smooth finishing. Nothing complicated—as the watch is pure function. 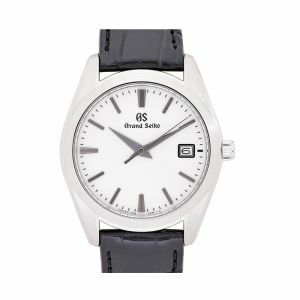 The Grand Seiko SBGM221 is a mechanical watch that comes with the 9S66 movement. 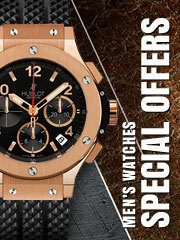 Accordingly, the timepiece brings alongside it a 72-hour power reserve, a date display, and the iconic Zaratsu polishing. It's a perfect dress watch—though general-purpose is a more fitting definition. Three timepieces for all three categories of movements used by Grand Seiko. 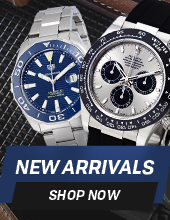 Watchshopping.com brings you authentic Grand Seiko watches (including the ones above), at the best prices. 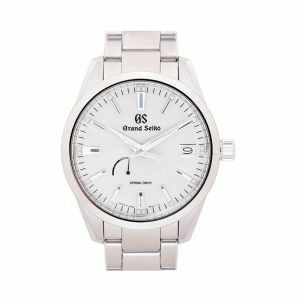 Grand Seiko is one of the most trustworthy watch brands out there. So choosing any of their collections would already be a great decision. Grand Seiko has been making beautiful, durable watches since 1924 and they haven’t stopped since. 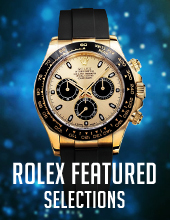 With models for men and women, they produce pieces for everyone - whether you’re looking for their Spring Drive, Mechanical or Quartz watch collections.